When finding treasure, or describing an item a character is wearing, sometimes all you need to know is the condition, the material or what it is , or even a combination of all 3. This quick generator gives you a one line description of a piece of armor or clothing, with a few accessories thrown in to help fill the gaps. The actual details of what these items look like or their value etc., is up to you. 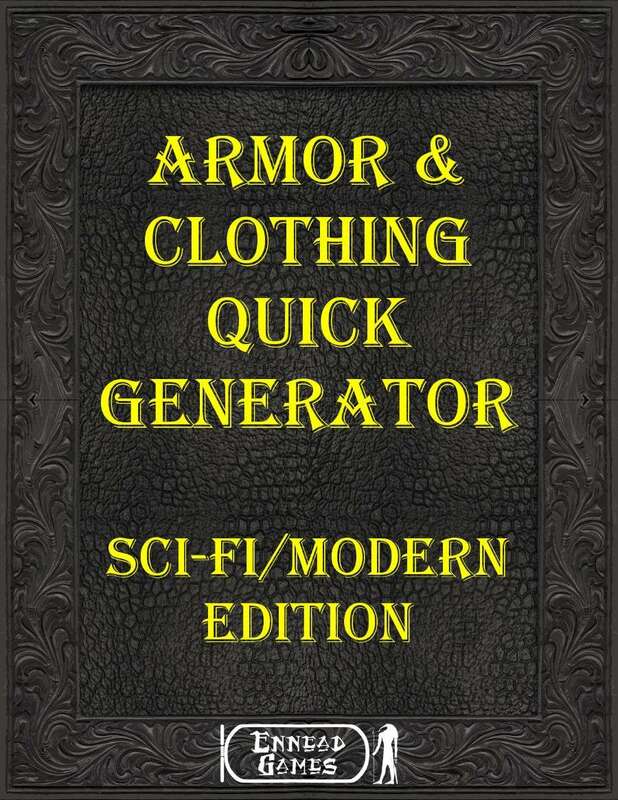 Easy integration with "Armor & Clothing Quick Generator" (also by Ennead Games) for even more possible combinations!